This Adirondack Guideboat built by Gary Stephenson, won a blue ribbon at the Northeast Woodworker's Showcase in Saratoga Springs, New York. 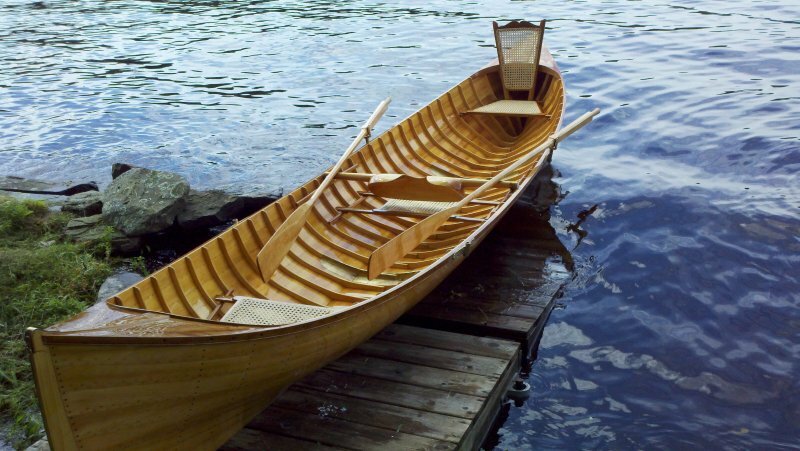 Gary, of Ballston Spa, New York, built this 16′ Guideboat using traditional construction methods and materials. He planked the boat with old-growth eastern white pine and made the frames and stems from spruce knees. Gary built the seats, decks, and rails from Adirondack cherry, shaped the oars from maple, and carved the carrying yolk from basswood. The boat design is based on the VIRGINIA, a boat on display in the Adirondack Museum in Blue Mountain Lake, New York.